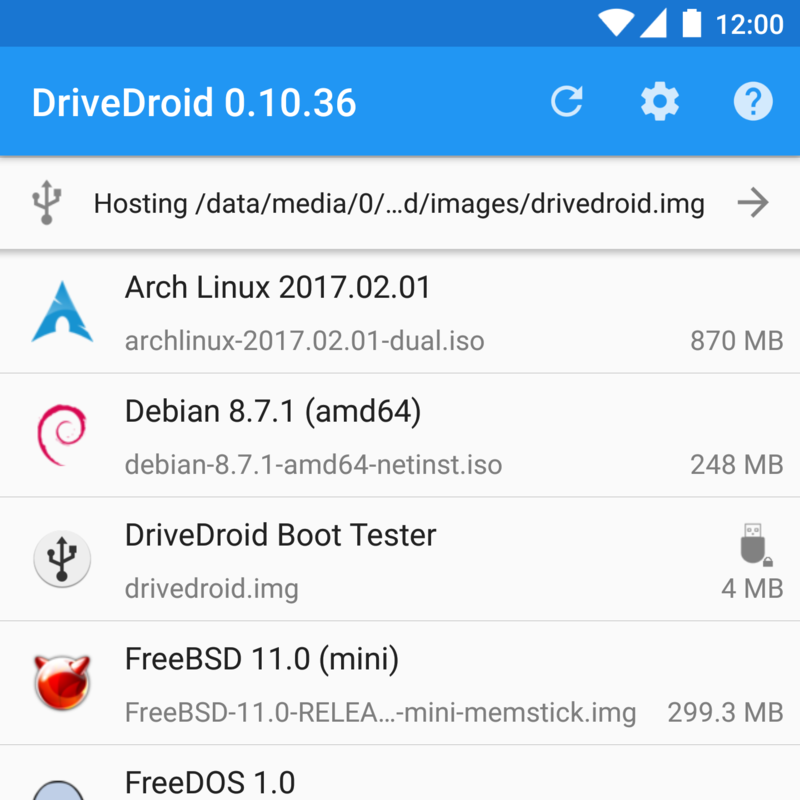 DriveDroid simulates a USB thumbdrive or CD-drive by using the Mass Storage capabilities in the Android/Linux kernel. ISO/IMG files that are stored on the phone can be exposed to a PC like any other USB thumbdrive capabilities. That includes allows booting from the drive as well. The combination makes it quick and easy to do OS installations, rescues or have a portable OS on the go. To make use of these capablities, DriveDroid requires root permissions on the phone. In addition, USB thumbdrive and CD-drive capabilities depend on the kernel of the phone. Most phones support simulating a USB thumbdrive, but not a CD-drive. Some phones support the exact opposite. There are kernel patches available to support both. The patches are included in a number of custom roms already. 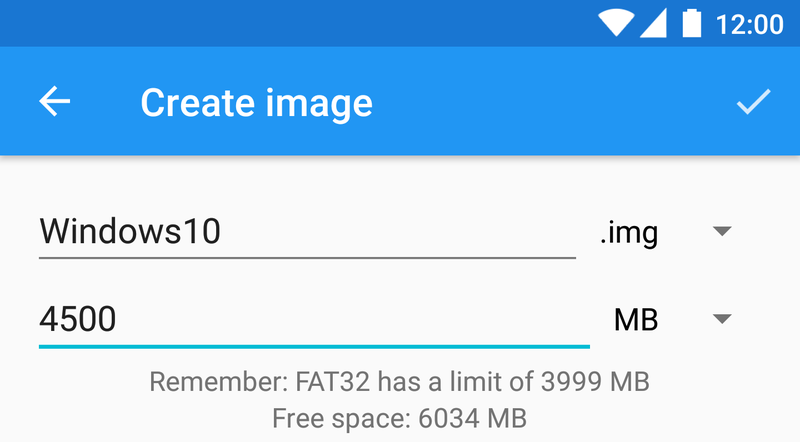 Store ISO/IMG files on a Android phone, connect the phone to a PC using a USB cable and boot the PC off USB. Use this to quickly do installations, system rescues or have a portable OS with you at all times. DriveDroid includes an up-to-date list of popular ISO files. 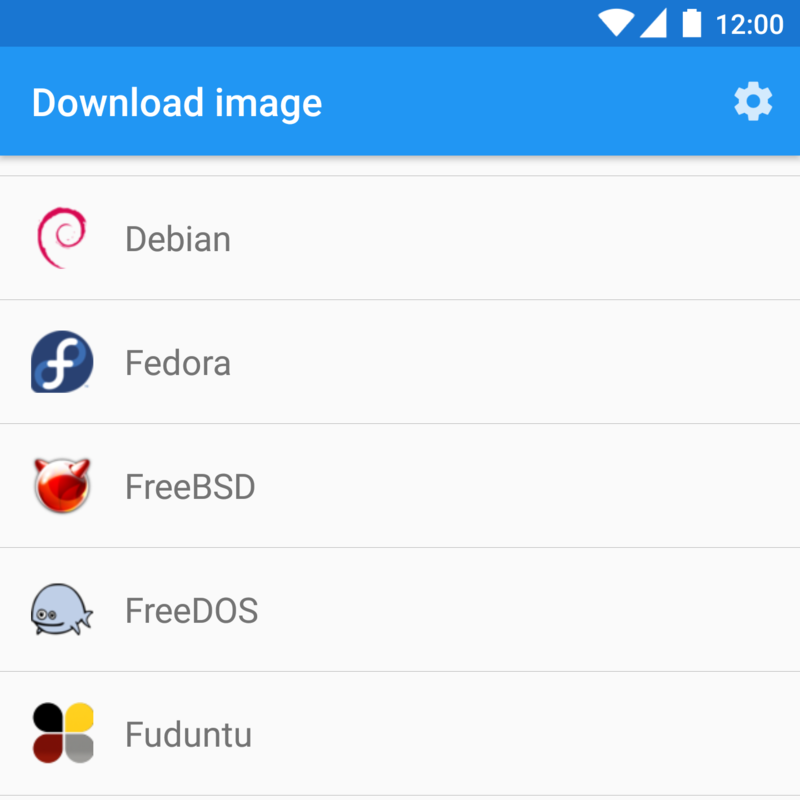 It includes Linux distributions such as Ubuntu, Fedora and Arch Linux that can be installed or run live from the phone. But also specialized images such as GParted, FreeDOS and ophcrack. Use tools on a PC to burn the USB image, like Windows 10 Media Creation Tool and Rufus. How to create a Kali Linux image that persists changes across boots. How to create a Windows 8 image that persists changes across boots. How to set up your own image repository to share with others. How to create a Hirens Boot CD image. How to install Windows 7 or 8 through DriveDroid.